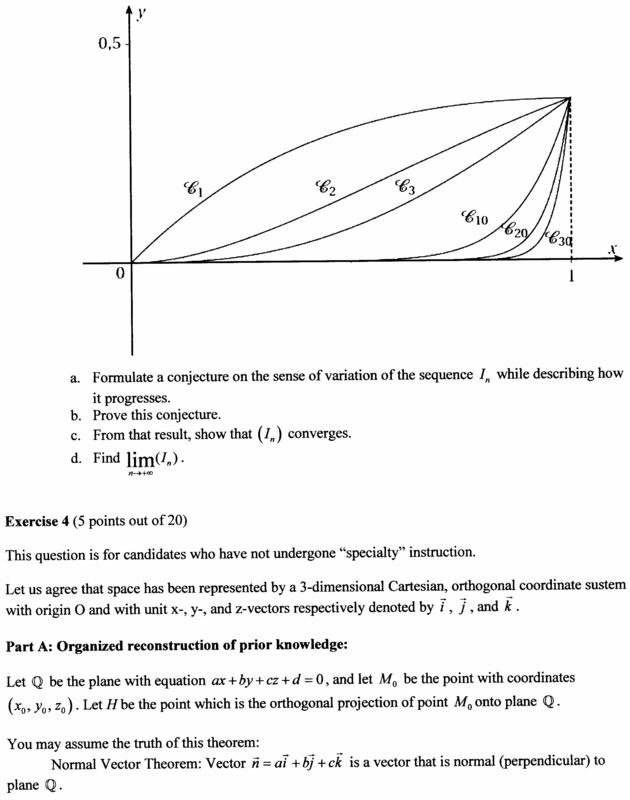 As promised, here is the last section (four pages, two long exercises, each one made of subsections and subquestions) of one of the French Mathematics Baccalaureate exams. 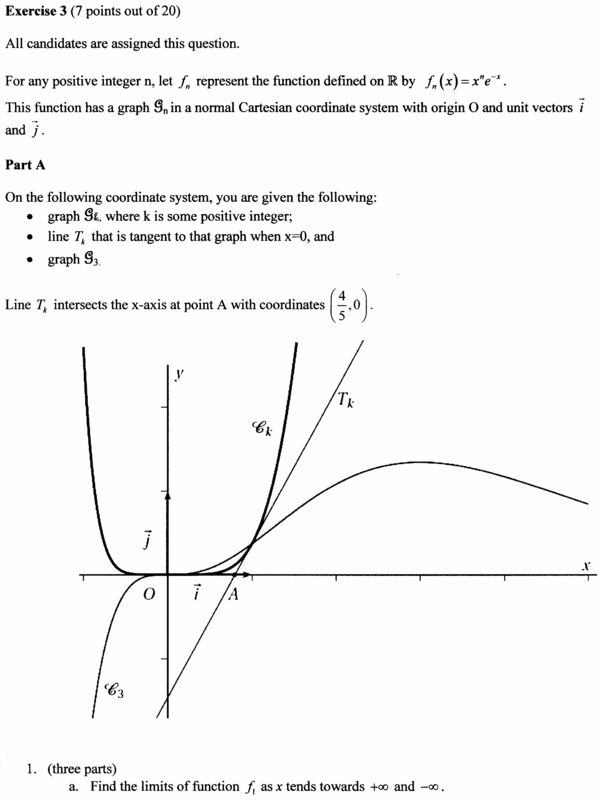 This version is one for folks who did serious secondary work in mathematics and science. This was a lot of very slow, technical typing, and trying to figure out whether I want to give a literal translation, or whether I should reach for easier understanding by American readers. I tried to opt for the second choice. 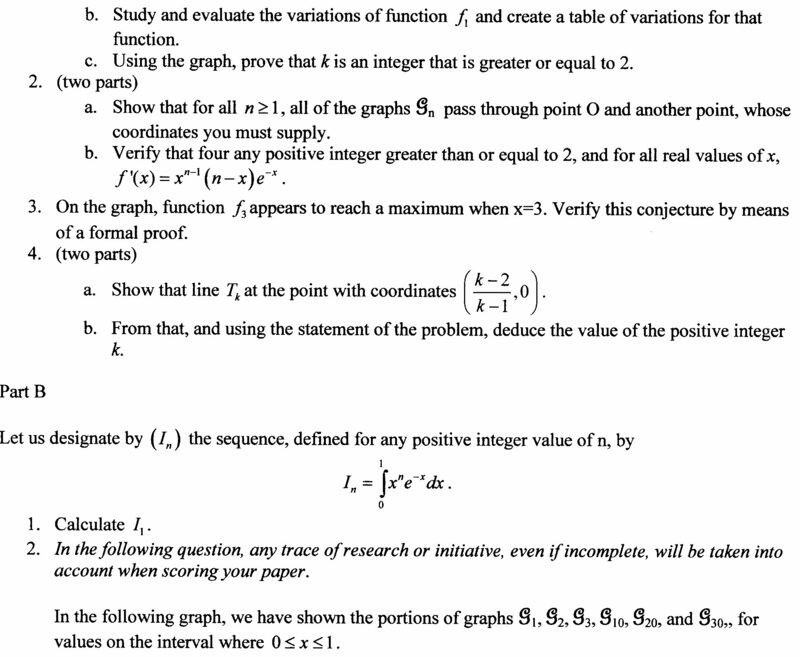 Be prepared: this section of the test is rough going, too. If you can’t quite even figure out what they are asking, you are in very good company! Only folks who have been specifically and recently studying or teaching these particular concepts would have a chance of passing. Even with a score of 45%. 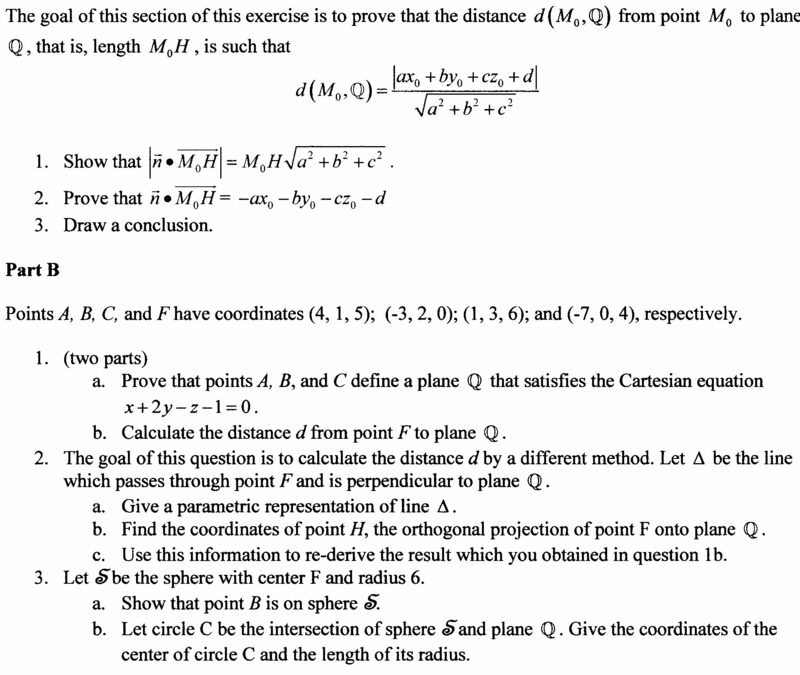 If you’ve read until here, you might think that the math part of the regular SAT is almost trivial in comparison to this test I translated. But remember this: kids raised in the French tradition and who attend French schools, find that a lot of the content of the American SATs is a mystery to them as well. Not being able to read any Indonesian language, I unfortunately was unable to approve your post to my blog, but feel free to do anything else with it. Cheers.